The rapid growth of science in the 20th century caused earth-shaking changes of people's lives in just the past 100 years. From now on, the reform of IT education will continue to catch the trend of the times while adhering to the principle of teaching which has a whole world view, enlarging the educational vision. On the aspects of academic, art, sports, etc., various teaching practices will be carried out aiming at being first. In order to adapt to the international community, besides the students with English proficiency, we welcome overseas students to promote international communication. Later, we will receive more students from China, to foster friendship between China and Japan, facing the future and opening eyes, so as to bring up the youth undertaking the prospective mission, of a modern social educational institution. Our school not only values the harmony of group living, but also creates conditions for the students with originality to bring out their potential. Dear young students undertaking the mission of the 21th century, I sincerely look forward to your creating a bright future. 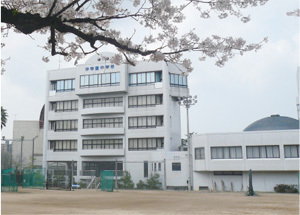 Oki Gakuen High School is a comprehensive high school with the qualification of school corporation, authorized by Japan's Ministry of Education, Science and Culture and Ministry of Justice. 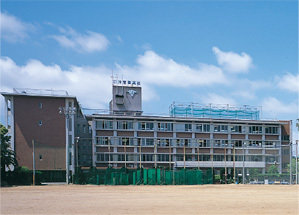 Established in 1958 by Mr. Oki Shiro, Oki Gakuen has been developed over 50 years and became a comprehensive high school involving the professional educations of international communication, economics, the nursing, and sports. The school has created partnerships with many schools in the U.S., Australia and China. Since 1998, over 60 students from China annually have been admitted to learn at Oki Gakuen, graduated and entered into state, public or private well-known universities with the excellent records of 100% both in enrolment rate and visa approval rate. The school has a long history and features comprehensive facilities. There are various group activities after class, such as tennis, karate, orchestra, calligraphy and arts. The school is independently managed under closed-off management. The students here shall be dressed in school uniforms and accommodated in school. These conditions should resolve parent's worries. There is no need to verify your finances. The student may join a class at anytime with a 100% visa approval rate. How do you guide the overseas students after their entering the school? Carefully talking with every student face to face and proposing advice to help the student enter a higher school. The school will arrange different tutorship to help the student build a world vision and undertake international communication during his/her study abroad. I'm worried about being unaccustomed living in Japan. We will support our students completely in life. There is a student dormitory at school and we provide strict security management and comprehensive life facilities to ensure our students a safe study and life here. Almost enter into state or private university, and some of them enter into short-term university (tanki daigaku) or specialist school. Tohoku University, Tohoku Institute of Technology, University of Tsukuba, Kobe University, Kanazawa University, Okayama University, Shimane University, Nagaoka University of Technology, Kyushu University, Kyushu Institute of Technology, Kumanoto University, Nagasaki University, Saga University, University of Hyogo, Osaka City University, University of Kitakyushu and etc. Keio University, Meiji University, Aoyama Gakuin University, Tokyo University of Science, Nihon University, Toyo University, Takushoku University, Ritsumeikan University, Kansai Gakuin University, Kansai University, Ryukoku University and etc. In 2008, I made an important decision of my life to study in Japan. At that time, I knew nothing about Japanese or even Japan. However, my parents suggested go to Japan for study. The reasons to choose Oki Gakuen are firstly there is no need to pass JLPT level 3 before entering the school, and secondly Oki Gakuen is not a Japanese language school but a normal high school. The study environment in Oki Gakuen is quite good, because teachers pay a lot attention on overseas students. There are even some Chinese teachers who have been living in Japan over 20 years in the school. With my teachers thoughtful tutoring, I passed the examination of Keio University. The accommodation here is very comfortable and everything here is convenient, that's why I can focus myself on study and successfully pass the exam. 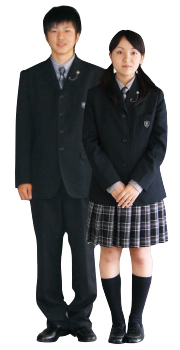 Oki Gakuen will spare no effort to help you and it's the best choice to fulfill your dream. My dream of entering top university in Japan is realized! didn't pass the examination of my first choice university, then I were supported by my family to study in Oki Gakuen with curiosity and uneasy feelings. There are a lot of experienced teachers in Oki Gakuen, tutoring the students no matter on study or life. Thus these overseas students might easily spend one and a half year to study in school. Especially for the enrolment tutoring, besides Japanese course, there are other courses of English, Science and Humanities that taught thoroughly, which cannot be obtained in a Japanese language school. Besides study, we participated in cultural festival, camping, sports festival and other activities to experience the real life in Japan's high school. I came here with my dream of entering a top university in Japan. Now my dream is realized with my teachers carefully tutoring in Oki Gakuen. I am sincerely grateful to my teachers. Now I am working in a Japanese company. I gained a lot during my stay in Oki Gakuen for one year and a half. I really enjoyed myself there. From now on, I will live in Japan and I am very proud of what I have learned and felt in Oki Gakuen. (being sure to acquire high school graduation certification) or having the same educational level as high school students. Japanese, English, Humanities and Science, JLPT, EJU enrolment tutoring and etc. (Students of 3-year course study the same subjects as local Japanese students.) Overseas students will be divided into junior class, middle class and senior class. Students of different Japanese language proficiency will receive their certain tutoring. Material review. No requirement of Japanese language proficiency. 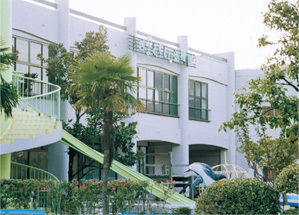 There is a dormitory at school with comprehensive facilities of refrigerator, wash machine, laundry dryers and so on. It is convenient for overseas students' living, which helps resolve their worries. 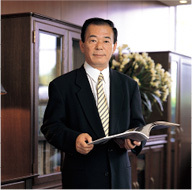 The communications between Fukuoka and the continent can be traced to ancient times, because of Fukuoka's advantages of being faced with Tsushima Strait and Genkai-nada (The Genkai Sea), surrounded by natural environment and closing to other countries in the east of Asia, which forms the local customs and practices of accepting overseas persons. Even in the domestic cities of Japan, Fukuoka is famous for its good reputation of human interest and fine environment. It is Fukuoka, the biggest city in Kyushu, that is full of temple fairs and ardent feeling. There are many young people, which is another specialty of the city. Many interesting places are scattered across Kyushu. Department stores and malls are placed closely side by side, which show the fashionable dresses and the unique local culture. On the cultural aspect, there are complete cultural facilities such as museums, libraries and so on. 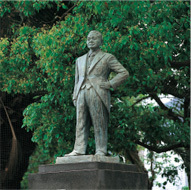 Kyushu Museum, founded in 2005 contains many treasures which are treasured and share a common legacy with mainland China. It is located in Dazaifu City, the city for communication with mainland China and the Korean peninsula. Nowadays, commune and civil communication prevail a lot. The Asian Culture Festival is annually held in September in order to deepen the communication between Japan and other countries in Asia. 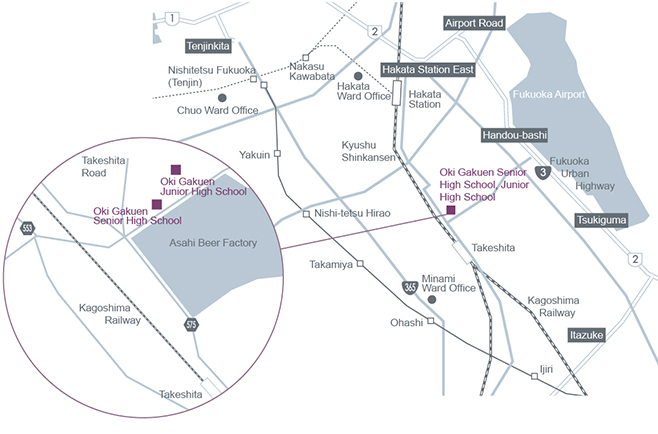 Oki Gakuen High School is located in central Fukuoka and it's very convenient in transportation. It only takes 7 minutes to school from "Takeshita" station on foot. Thank you for visiting the Oki Gakuen Senior High School Website. If you have any questions or inquiries, please feel free to contact us by Telephone, by FAX or via E-mail by submitting the inquiry form below. Inquiries can be sent via E-mail. Please fill out the form below to send us an inquiry. We welcome your questions and information requests by E-mail. Please give us the following information in your inquiry letter. ※ Some inquiries might be answered by Telephone instead of via E-mail. Please note that depending on the inquiry, it might take time to reply to your E-mail. Copyright © OKI GAKUEN. All rights reserved.